Fluffy, meringue-like egg whites with with a rich, gooey egg yolk in the center, on top of cheese toast. This might be the cutest egg dish ever. It is also very easy! 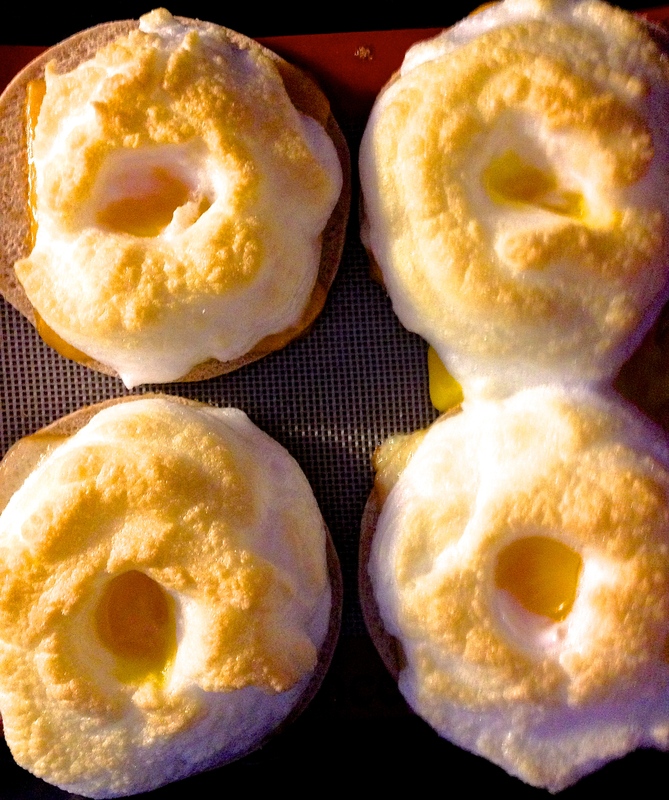 If you can whip egg whites, you can master these cute and delicious puffy cloud eggs. Assemble your cheese toasts: Preheat oven to 350 degrees. Line your baking sheet with foil, parchment paper, or silpat (this is just to make cleanup easier, so if you don’t have ’em, just lightly grease it). Place 4 pieces of bread on sheet, and top each with 1 piece of cheese. Whip your egg whites: Place egg whites in mixing bowl and whip with hand mixer until soft peaks form. 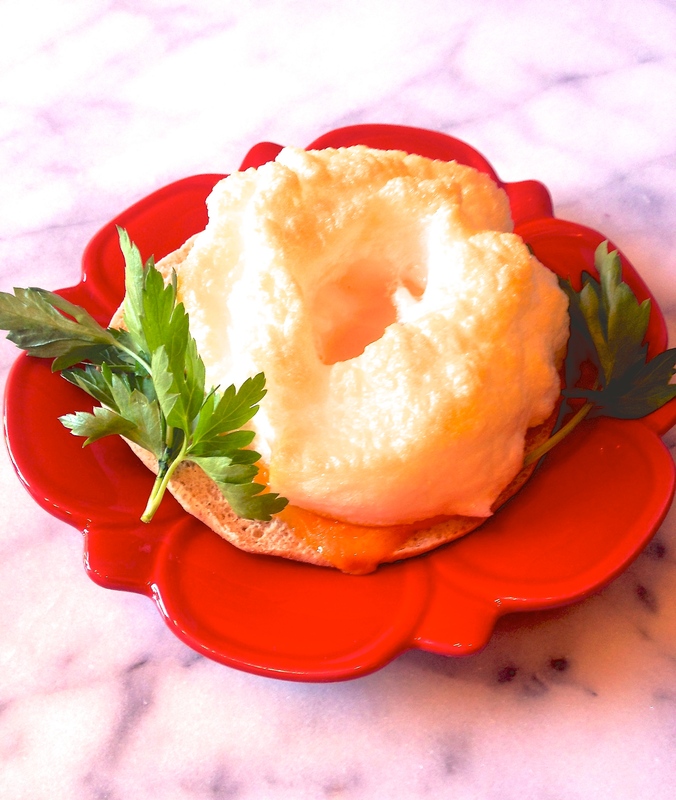 Assemble and bake the puffy eggs: Mound 1/4 of the egg whites on top of each cheese toast. Make it pretty! Create a small well in the center of each egg white. Place one egg yolk in each well. Bake about 15 minutes, or until whites have turned light golden brown on top and yolk is just set (it will be over-easy to over-medium in doneness). Enjoy! !